The Internet is part of the modern world, and the smartphone the device connecting everyone and everything. A web optimized business is essential. Can your customers, past, present and future connect to you? If not, why? If yes then so can competitors and cyber-criminals. Make the most of the web, make it work for you, but keep secure. A support technician can set-up kit and clear a jammed printer but sometimes additional expertise is required. Hire a computer technology specialist. If you need computer help chat to a computer expert to solve IT issues. Every modern business needs IT, and despite three generations of progress some suppliers still make systems painful to use and unreliable. Technology should make you smile not pull your hair out. Do you need help with web or computer problems? From common computer problems, such as a slow computer, to complex solutions requiring bespoke software and IT to run business processes. 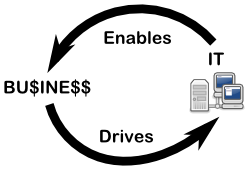 IT is a business cost and so reducing computing costs makes good business sense. Cloud and web based services are cost effective for IT. Simplify your computer or software systems and concentrate on your business. It costs nothing to talk through your IT issues. General IT help is £20/$30/€30 for the first hour and each hour after that. All kit and parts purchasing will be approved by you. IT support and web site maintenance contracts from £40/$60/€60 per year. Fixed price bespoke websites, software, systems and projects depend upon your needs, e.g. a new website from £100/$150/€150. Your computer help desk is here, make an enquiry to dan@tekeye.uk.